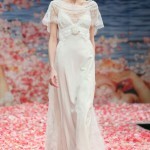 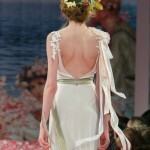 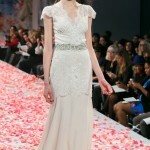 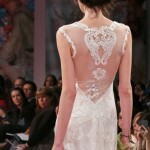 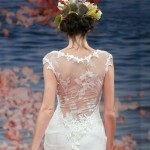 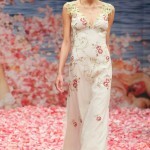 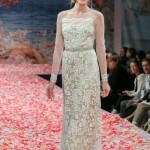 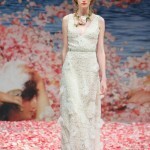 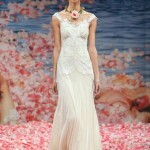 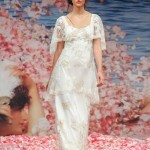 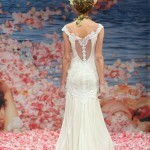 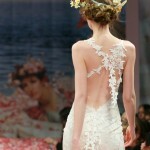 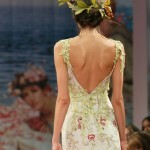 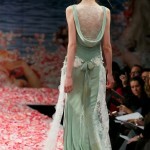 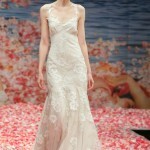 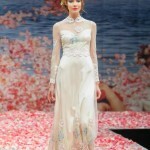 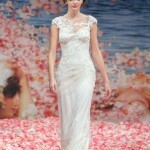 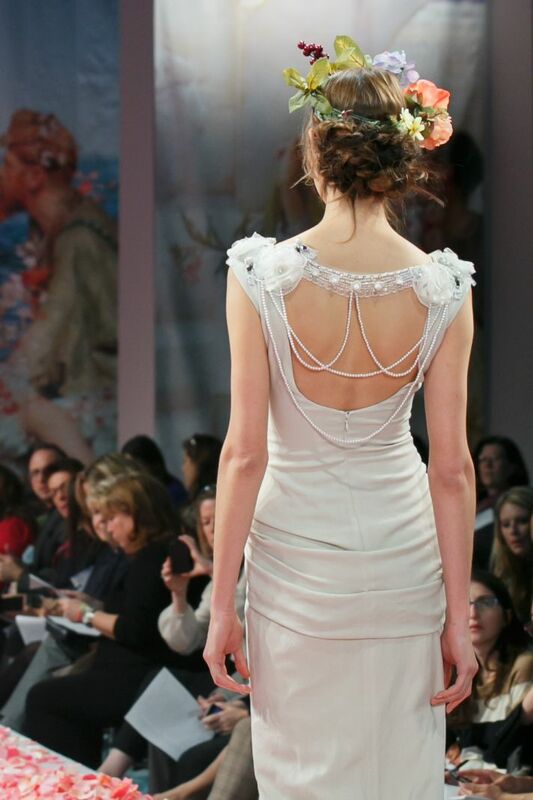 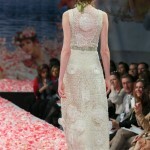 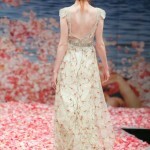 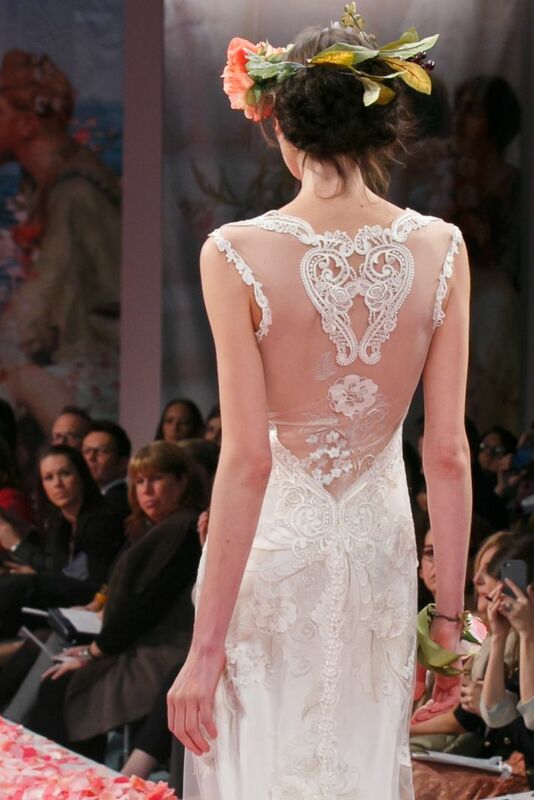 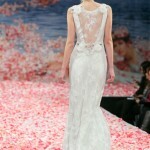 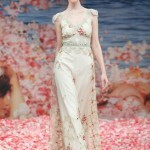 Claire Pettibone’s bridal fall 2013 collection was utterly romantic. 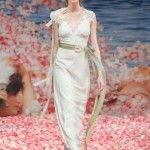 Even the gown names were a nod to a fantastical, bygone era: Oleander, Maiden, Aphrodite, Beauty. 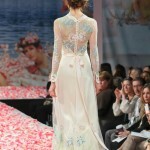 Never one to shy away from lace, Pettibone’s collection showcased intricate lace, feminine embroideries and pastel-hued maypole ribbon for a playful touch. 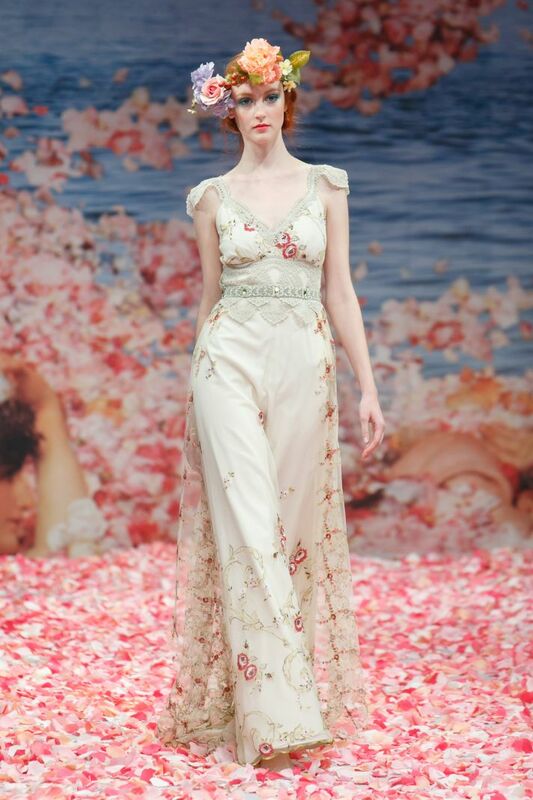 With a runway laden with rose petals, An Earthly Paradise collection transports you to a land of the modern goddess, celebrating the female silhouette beneath sheer dresses with sheath overlays, cutaway backs all with a bohemian undertone that would be dreamy for a rustic french wedding. 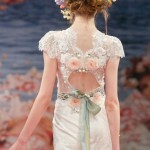 The sheer, illusion backs and intricate applicate of her creations take my breath away every time so it’s only natural that I’d feature Claire Pettibone’s breath-taking Fall 2013 collection first.